Meet our capable, caring, and smart team of instructors. We consistently participate in continuing education so that we can continue to offer a high level of specialized instruction year in and year out. This isn't a hobby for us - we take your time and your needs seriously. Though there is no legal license required to teach most types of fitness, (Pilates included) we hold ourselves to the highest standards and never consider ourselves "finished" learning. Join us and experience the difference of working out smarter! I have a passion for movement. A competitive gymnast in my youth, I have transitioned though several sports and activities throughout the years including track and field, distance running, cheering and tumbling, swimming, collegiate sailing, and martial arts. Most recently, I have completed several sprint triathlons, two Olympic distance triathlons and continue to train year round for upcoming races and events. I try to stay as well rounded as possible - one day I am on the reformer, maybe the next day I'm in a Crossfit class! In my personal practice, Pilates is a not an option but a necessity. I believe unequivocally that Pilates keeps my muscles strong, my strength balanced and my body injury free through all of my varied training, sports and interests. Pre/post natal, competitive athletes, seniors, children, clients with diabetes, hypertension, osteoporosis/osteopenia, osteoarthritis, rheumatoid arthritis, fibromyalgia, scleroderma, M.S., knee, shoulder and lower back injuries, herniated or bulging discs, recent knee or hip replacements, and various other orthopedic concerns. Exercise and physical activity can help with such a wide range of physical and mental ailments. With the proper safety precautions, anyone can achieve the benefits of exercise. Alyssa started her journey with Pilates over 15 years ago when she was a competitive figure skater. Pilates gave her the core strength to center her spins, the endurance to skate faster and longer, and the strength to jump higher than before. Alyssa began to study Pilates instruction in 2006 and continues to do so. Alyssa is BodyAccess Certified in both Pilates Mat and Reformer in addition to more recent classical training on all apparatus in 2016. Alyssa has a BA in Psychology, and she hopes to assist any individual that is looking to better themselves by way of mind and body. 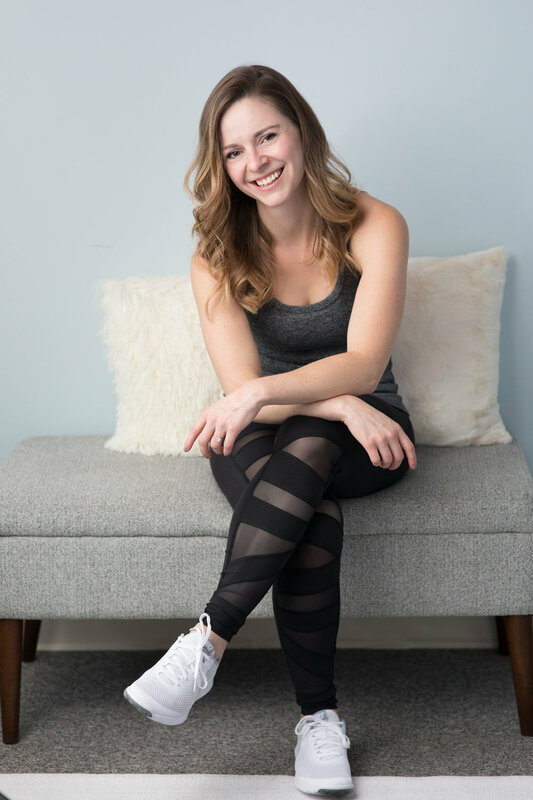 Previously a professional dancer with extensive classical training, Erin has branched off into teaching a range of fitness styles with a focus in private, equipment based, Pilates instruction. Erin graduated from the University of Pittsburgh, Pittsburgh, PA in 2006 with her BA (Marketing), and is comprehensively Pilates certified with Powerhouse Pilates (PHI) and Kelly Kane School of Core Integration, both based out of NYC. Erin teaches all levels of mat and equipment classes as well as private training sessions utilizing all Pilates equipment. Her sessions often involve a heavy focus on biomechanics, and Erin has experience dealing with compromised clients who have multiple physical issues. She has also worked as a theraputic Pilates instructor at H&D Physical Therapy (New York City) - Working with physical therapy patients to help them transition from PT based work and stay functional in daily life by the use of pre-Pilates methods and basic equipment work. Michelle spent twelve years of her youth as a competitive swimmer, which sparked her passion for health and fitness from a young age. Her day as a swimmer was spent 6-7 hours of training. Once she completed her career, she needed to fill her time with other forms of physical activities because her day felt empty without a fourth of her day spent training. She quickly filled her spare time with hiking, rocking climbing, bouldering, and running. She discovered a variant of Pilates a little over five years ago when she was pregnant with her son. She fell in love with the practice and has only fallen more in love with the method more over the years. She finds the practice essential for her physical, mental, and spiritual health. The mind-body connection that comes from Pilates has become the focal point that she brings into all movement practices she is involved in. She has a BA in Psychology and a minor in Biology from UNLV. One of her passions is helping others. Prior to Pilates she worked in a wound care/pain management facility helping patients rehabilitate from various injuries, accidents, autoimmune diseases, and more. Michelle has trained in all levels of Pilates Mat and Reformer with Balanced Body, and has mentored under Amy Cieslik since May of 2017 as well as several classically based master trainers in and around the Boston area. After a recent back injury, Vivian found rehabilitation at Oxygen Mind and Body turning to Pilates to regain her strength and flexibility. It was during this period of rehabilitation that she developed her passion for Pilates and its benefits to overall physical performance. As her strength and flexibility increased so did her intensity. She quickly found a new love for TRX and the ability to develop strength, balance, flexibility, and joint stability simultaneously. In her class, you will get a great workout, have a good time, and leave feeling successful. Vivian has also recently completed Reformer teacher education in Boston as well as Pilates Mat instructor training through Equinox. Vivian’s love of kickboxing began in Los Angeles, Calif. in 2000 when she joined HKD Martial Arts Academy with had a strong foundation in practicality, physical fitness, and an emphasis on mental/spiritual growth. An incentive to start the sport was to get a total body workout in one class and feel strong as you learn a form of self-defense. Martial Arts and Kickboxing challenges your body to work as a whole for head-to-toe. Her strong passion for Martial Arts, lead to earning her Black Belt and becoming an instructor. She loves seeing clients transform as they improve coordination, strength, and endurance. Her goal is to be supportive and energetic. Vivian believes hard work coupled with encouragement will bring out the best in people.